Remove old bird food and clean your feeder before filling with new Purina wild bird food. Wash your hands thoroughly after filling your feeders. Not for human consumption. 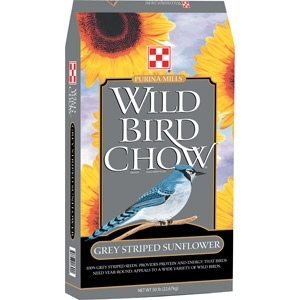 Store Purina wild bird food in a plastic or metal container in a cool, dry place. Smaller bag sizes feature stand-up, re-sealable packaging for long-lasting freshness and convenient storage.